Our Hospital Grade Green-Dot NEMA 5-15P power cord is rated for use in hospitals and other medical settings. 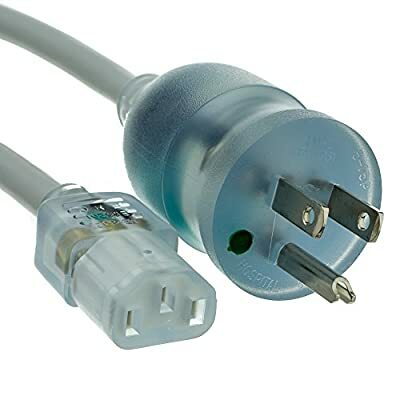 Featuring clear connectors, you can be sure this durable power cord will hold up to the demanding needs of hospital application. This cord has three 14 AWG conductors, is rated to 15 Amps at 125 Volts and is RoHS certified.